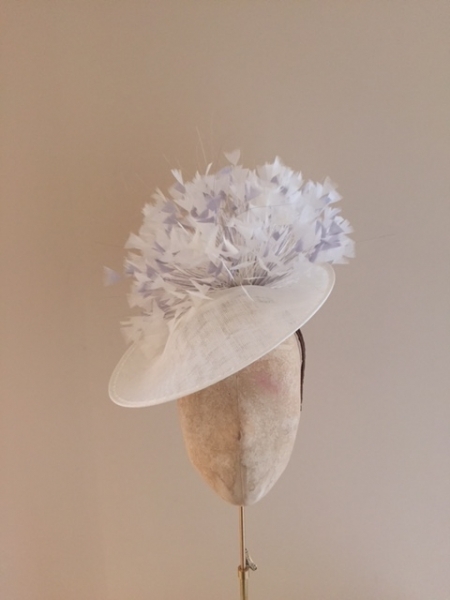 The Saffron Pillbox hat is a very chic choice for winter wedding or race meeting. 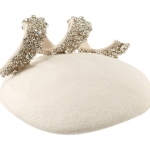 The Pillbox felt base is adorned with a delicate crystal trimmed twirl. 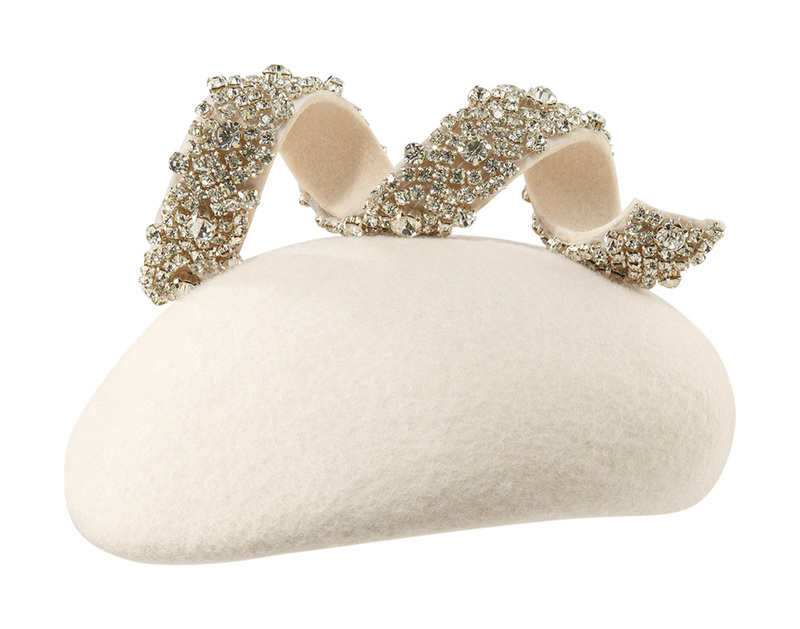 The hat can come either on elastic or a hairband. The elastic or hairband will be colour-matched to your hair colour. 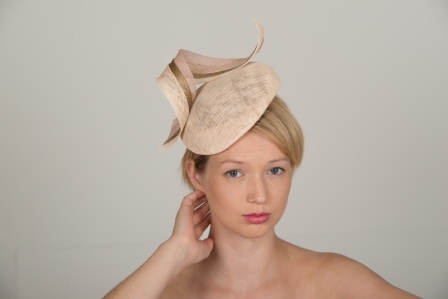 The Saffron Pillbox hat is a very chic choice for winter wedding or race meeting. 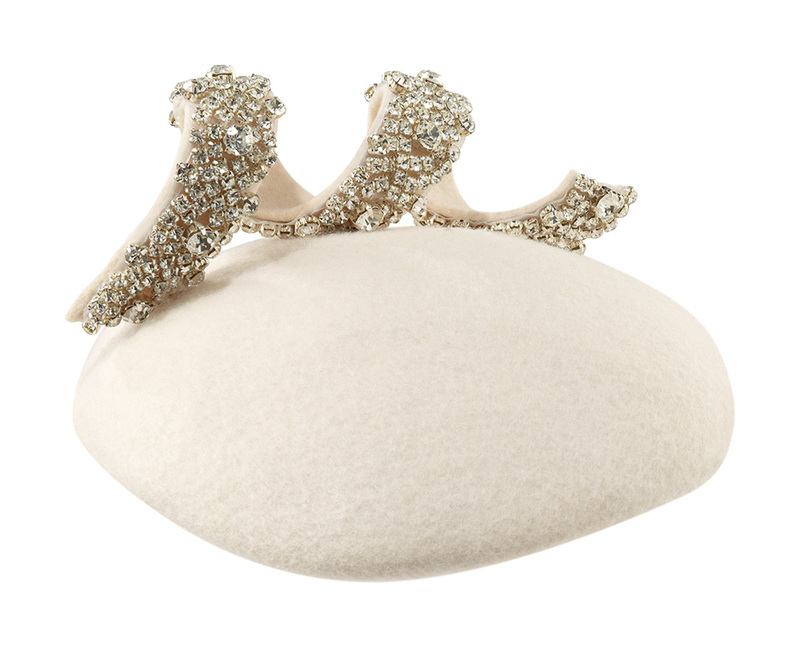 The Pillbox felt base is adorned with a delicate crystal trimmed twirl or you can choose to have black or ivory beads. 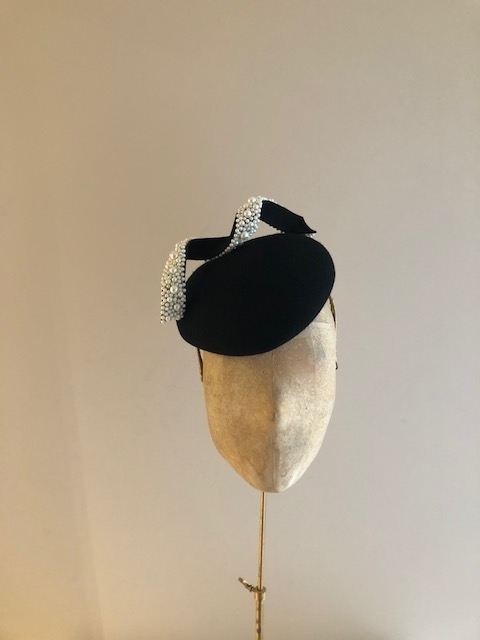 The Saffron pillbox is available in a wide range of base colours and crystal colours so you can be sure that your hat is unique to you and matches your outfit perfectly. 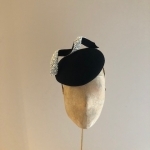 The base colour options can be found here and you have the choice of the black, ivory or crystal beading from this colour chart.